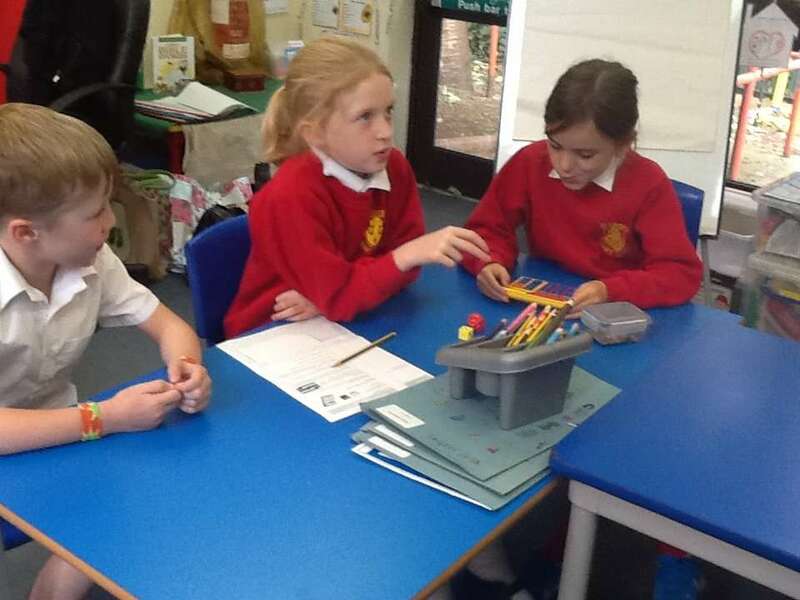 Today some children in Year 3 joined the Maths Games lunchtime club. 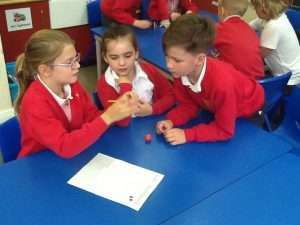 They were introduced to three games and they listened really well so they understood the rules and were able to play them in small groups. The first game they played was called ‘Over the Tens’ and the objective of the game was to be the player with the most points after ten throws. 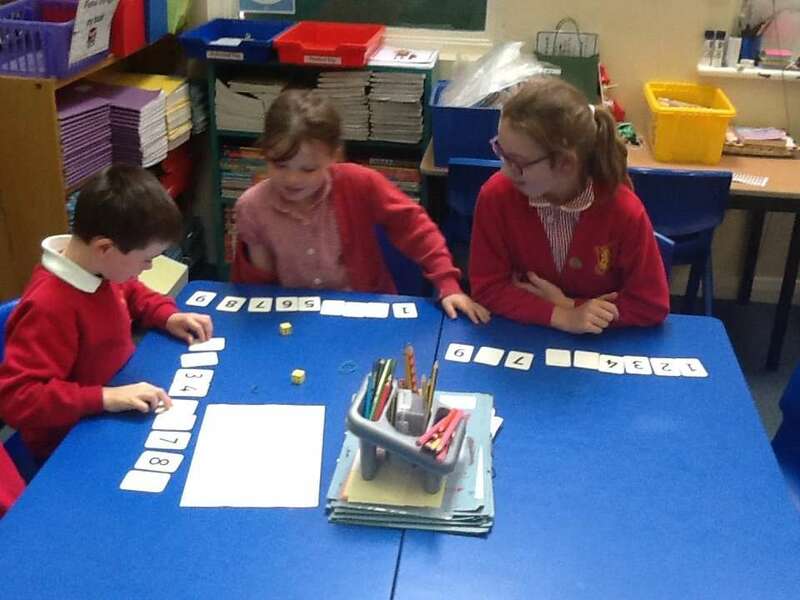 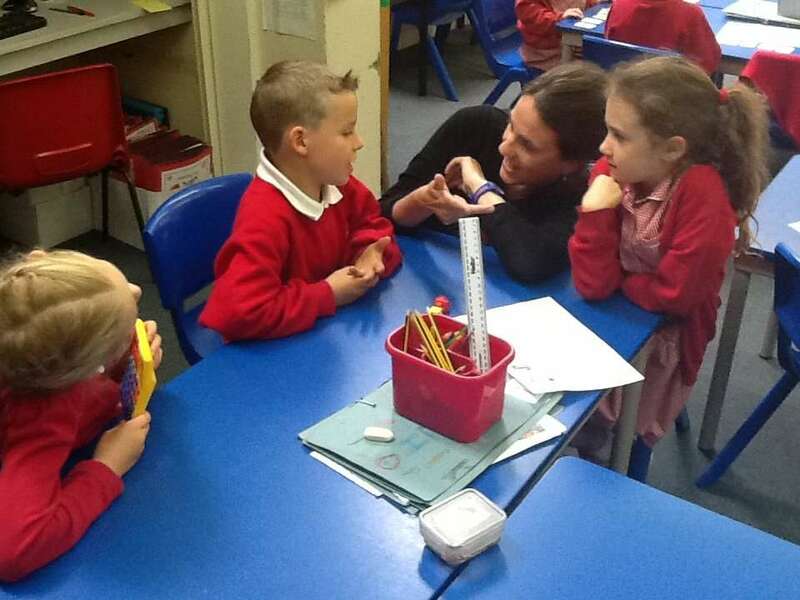 The children had to generate a two digit number using two dice and then subtract 7. The answer was checked using a calculator. 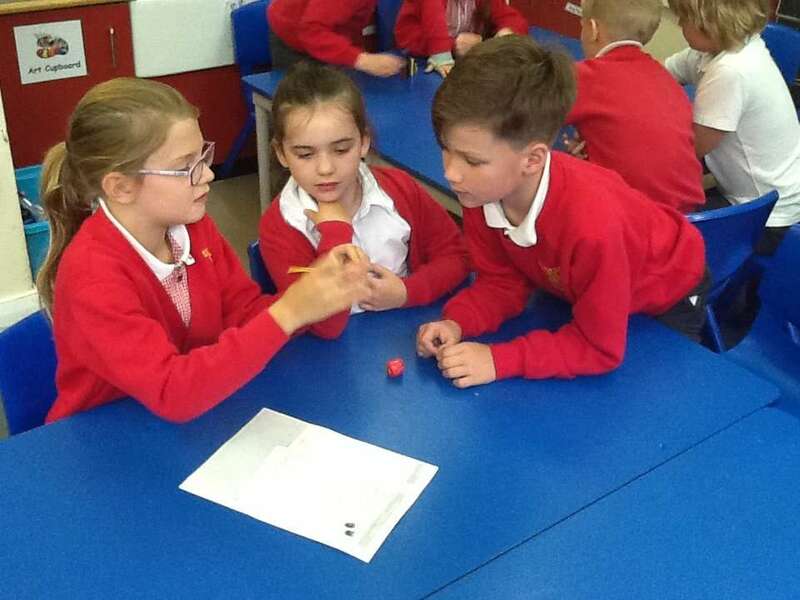 The second game was called ‘Target 100’ and the aim was to find the compliment number to make 100. The final game was ‘Card race’ and the aim was to be the first person to turn over all their cards. 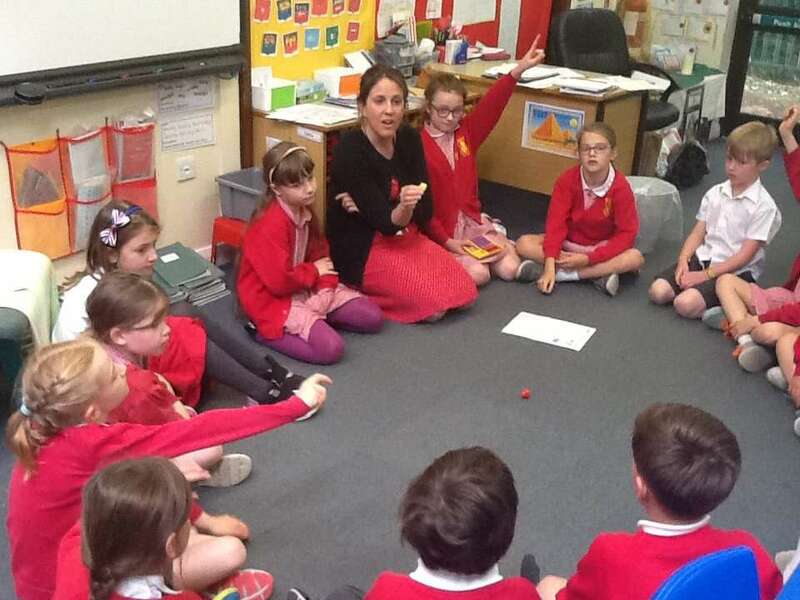 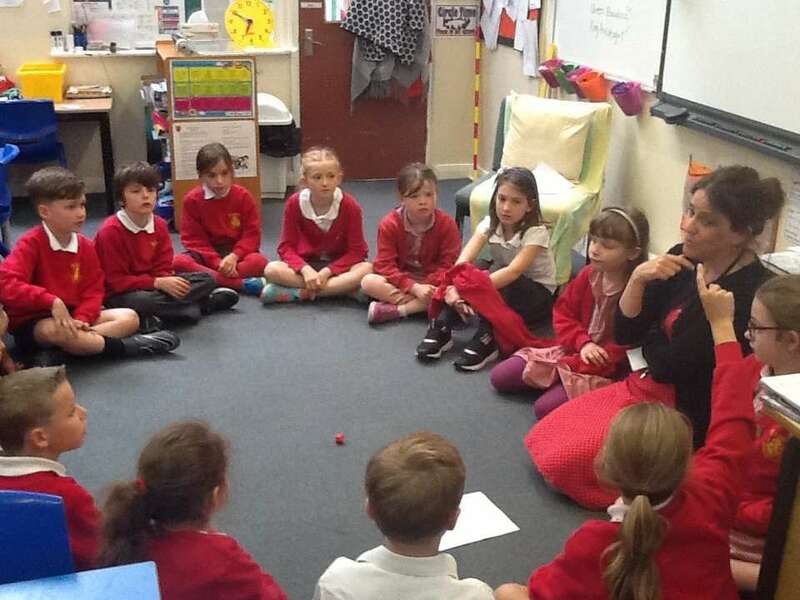 The children had to roll a dice and think of ways of making that number, for e.g. 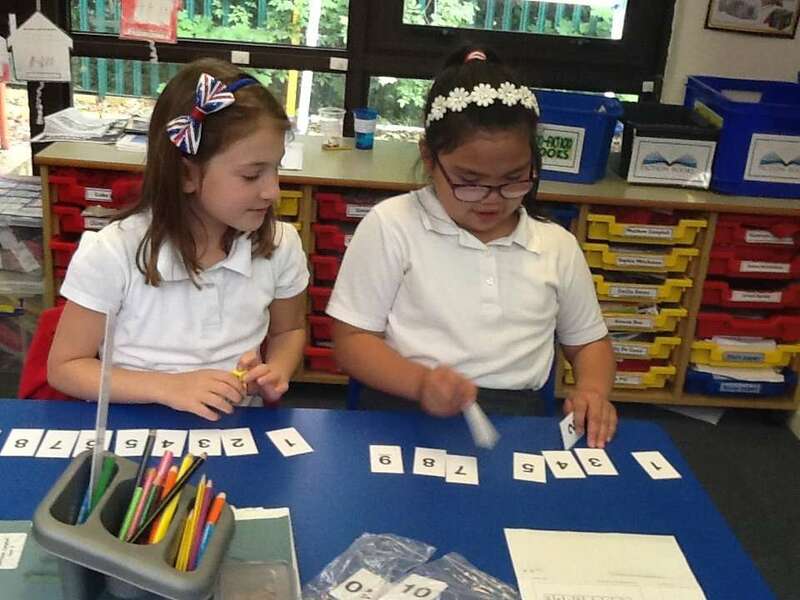 6 can be made with 5 and 1, 2 and 4 and then turn those numbers over. 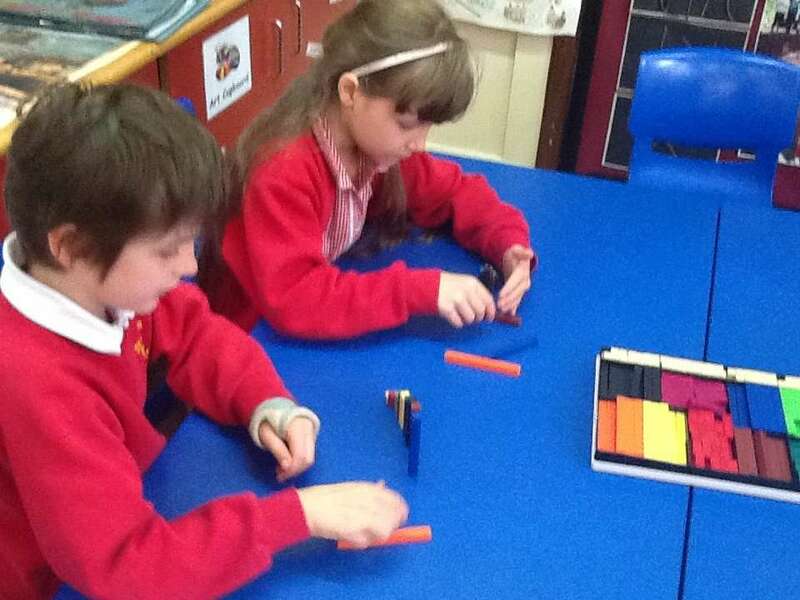 Some children used cuisenaire rods to make bonds to 10. 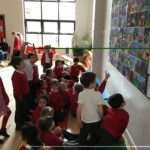 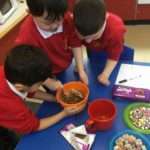 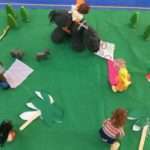 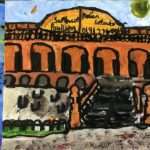 The children all had lots of fun!